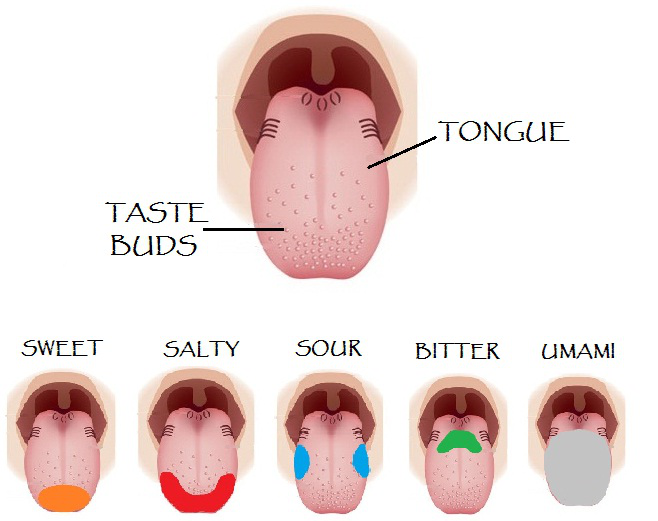 Your taste buds are a type of sensory organ that takes the form of small bumps on the tongue. These little bumps let you experience every taste, including biter, sweet, sour, and salty, via messages sent to the brain. At times, you may find yourself wondering whether your taste buds are off. The complete loss of your sense of taste is known as ageusia. Partial loss is dysgeusia. If you feel your taste buds are off, learning more about it can help and provide useful tips. My Taste Buds Are Off, Why? There are numerous reasons you may find your taste buds are off. Some common issues include infection or inflammation of your sinuses, mouth, tongue, or upper respiratory tract. You may develop these symptoms due to diseases, infections, or inflammatory conditions affecting the taste buds on your tongue that are responsible for your sense of taste. GERD (Gastroesophageal reflux disease) also produces a similar issue on the tongue’s surface, which can lead to damage from bile and gastric acid. You may also experience loss of taste due to conditions affecting the nervous system or other parts of your body. In the case of certain nutrient deficiencies. Your body doesn’t get enough of a particular nutrient or vitamin required for nerve function, which can lead to nerve damage or dysfunction. If this affects the nerves of the tongue, you may lose your sense of taste. In addition to the feeling that my taste buds are off, this loss of taste may or may not be accompanied by additional symptoms. They will depend on the underlying condition, disease, or disorder. It is actually very common for symptoms that impact your sense of taste to also affect other body systems. In addition to treating the underlying issue, there are ways to restore your sense of taste if you worry that my taste buds are off. Most of the time, your taste buds will go back to normal eventually, whether this is months or years. The following methods can help. In the case of a loss of taste due to throat or mouth infections, the flu, or a cold, antibiotics or decongestants can help. There are even items found in your home that can help restore your taste buds via their strong flavors. These include lemon, cinnamon, ginger, and garlic. If your loss of taste is due to smoking, quitting this habit will stop tobacco from dulling your sense of taste. In addition to restoring your taste buds, you will also experience numerous other health benefits. This method takes advantage of the way that certain flavors are powerful enough to stick around until your following meal. If you reset your taste buds to enjoy different tastes, you will get rid of the current taste and help you enjoy your next meal. This is why you should clean your palate or rinse your mouth following meals so your taste buds are ready. Of course, following dental hygiene guidelines will also improve oral health and therefore taste bud functionality. It is common for those whose taste buds are off to either eat fewer calories during the day or to add sugar and salt to their meals as a way of improving the taste. The first causes nutritional deficiencies while the latter could lead to high blood pressure hypertension. Instead, opt for aromatic herbs and hot spices in your foods as a way of enhancing the flavor. Depending on your health, add in ingredients such as sauces, butter, cheese, or bacon so you get to enjoy exciting tastes. Anyone’s taste buds will become dull over time if you eat the same exact food and flavors every single day. If your palate includes new, different tastes, then your taste buds will have a positive reaction to a range of foods. That way, your sense of taste will improve while you get a rich taste for a range of smells. A simple method of achieving this goal is to try out some foods from various cultures or countries.